In a previous post, Dave discussed one type of vermouth, Bianco. 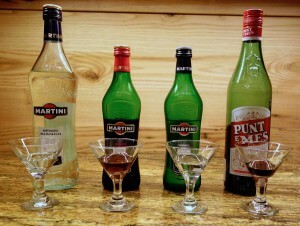 We’ve also discussed other types of vermouth as mixers in some of the drinks we’ve mentioned. 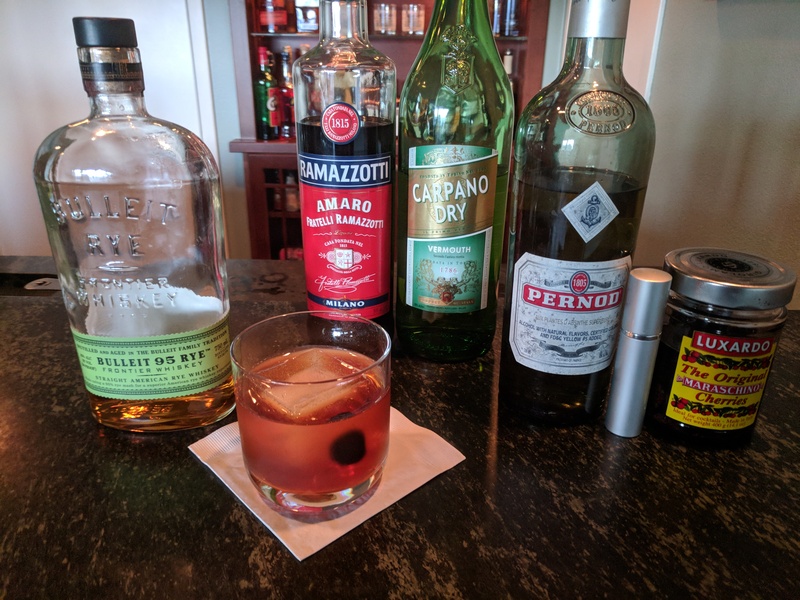 Some people drink this stuff straight up – which is gross IMO – but as a mixer, a couple of types of vermouth are must-have components of a good bar. The standards are sweet and dry vermouths. Sweet or “Italian” vermouth, sometimes referred to or labeled as “rosso” (Italian for red), is red-colored and has a sweet taste. Dry or “French” vermouth is almost clear and more bitter than a sweet vermouth. The bitter taste allows more of the vermouthy – that is, a dry, vinegar-ish undercurrent – to come through. A small bit of dry vermouth goes a long way. Apparently, Alfred Hitchcock’s martini recipe called for “five parts gin and a quick glance at a bottle of vermouth,” and Winston Churchill’s called for drinking a tumbler of gin while bowing in the general direction of France. This is probably because people tend to keep their vermouth around too long – its taste changes for the worse quickly (see last paragraph). I frequently use an atomizer to spray vermouth into martinis, but I’m less compelled to be so spartan when the bottle has just been opened. Generally speaking, you add more sweet vermouth to get the same level of impact in drinks that call for it. 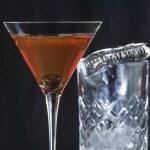 Sweet vermouth may make up 1/4 or more of a Manhattan, for example, 3 parts Rye to 1 part vermouth being the standard recipe. If you have a sweet and dry vermouth in your bar, you’re mostly covered for the standard cocktails. Punt e Mes is a terrific addition to your vermouth line-up if you want to go a bit further. You’ve probably noticed that Dave and I frequently use it in our cocktails. While it has a fairly sweet initial taste, it tends to have a flat and dry finish. In that way, it’s more like an Amaro. 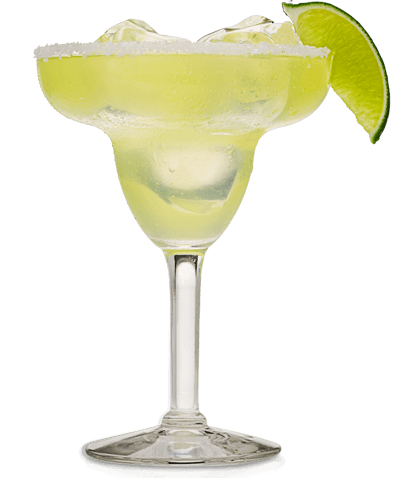 If you sip it straight, you’ll notice the vermouthy taste, but it is nowhere to be found once you mix it. 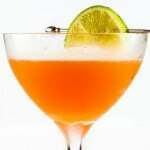 It has a citrusy, spicey taste that is unusual and adds a lot to mixed drinks. The final vermouth in this roundup is white vermouth. To confuse things, white vermouth from Italy is called “Bianco” and white vermouth from France is called “Blanc.” Whatever it’s called, when I first tried it, I thought it split the difference between sweet and dry vermouth. After taste-testing it a few times, though, I now think it’s much closer to dry vermouth. It has that strong vermouthy taste of dry vermouth although it initially hits the drinker as being a bit sweeter. I’ve used it to replace other mixers in my drinks, but haven’t yet found a strong place for it in my bar. I think there might be nice versions of classics – the Martini and Manhattan – using white vermouth instead of dry and sweet, respectively. Unfortunately, vermouth doesn’t hold up well over time (again, see last paragraph), which makes experimenting a bit of a challenge. Like the rest of the dizzying array of alcohol choices, there are even more vermouth varieties. There are boutique vermouths as well as rosé versions. These won’t add many tastes or textures to your bar, though. I’d only bother to search one out if I ran across a particular cocktail that I fell in love with. All vermouth should be refrigerated after opening. 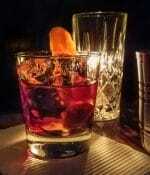 Vermouth is a fortified wine and does oxidize over time. Even refrigerated, you should limit the life of your vermouth to a couple of months at most. Would you leave a bottle of wine on your counter for months and still drink it? Yes, it should come in smaller bottles. The effect is particularly profound with dry vermouth. An older bottle of dry vermouth will give you a completely different tasting martini. 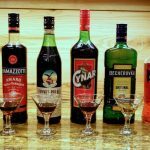 While the impact on sweeter vermouth is not as profound, your drinks will still taste different with older opened bottles. 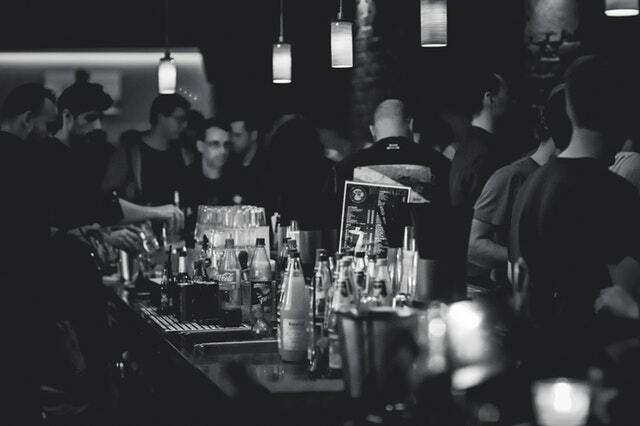 Most “craft” bars will toss an open bottle of vermouth after two weeks. Of course, they go through so much of the stuff, they likely finish bottles faster than that.